When the idea of raising wages so drastically began to make headlines in places like Seattle and Toronto a few years ago, economists and restaurant owners said it couldn’t be done, and that if it did, it would likely cost jobs - a lot of jobs. They said it was simply too much, too soon. Here’s a review of where three markets are at on the path to a $15 minimum wage, how restaurant owners are coping (or plan to cope), and what this all means for staff and for the future. 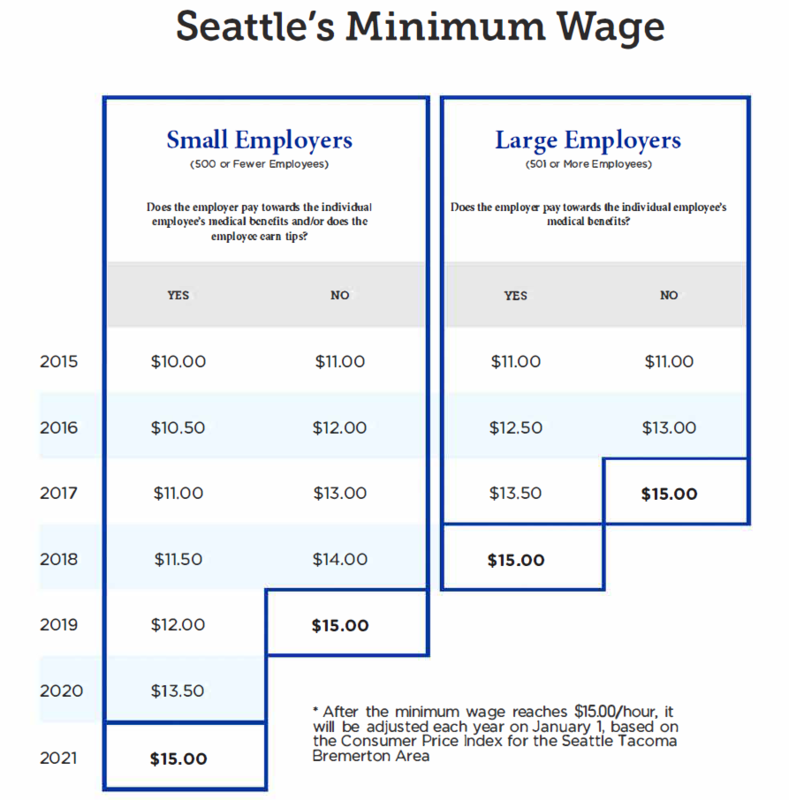 In Seattle, the increases began in 2015 with a jump from $9.47 to $11 for large businesses with more than 500 employees. Now, many of those businesses are already at the target $15 threshold while smaller businesses will reach that mark more gradually by 2021. As they’re one of the first US cities to reach the $15 minimum wage economists are studying the impact in Seattle, and restaurant owners in other areas are hoping to learn from their peers in the Pacific Northwest. Not surprisingly when the increased wage hit some restaurants did the obvious: they raised menu prices and added service fees. In an article in the New York Times, restaurant owner and Chief Executive Angela Stowell, of Ethan Stowell Restaurants (parent of 14 restaurants and 300 staff) said the chain had not reduced hiring, but it had raised some menu prices and added a service fee. However, there are other solutions. Seattle organic café chain owner Chris Maykut recently told The Globe and Mail that instead of raising prices for his clientele and risking customer alienation, his operation looked for opportunities to improve productivity and scheduling (a winning idea if we ever heard one!). “For the first time ever I would sit with my schedulers and my general manager and my chef and go, alright, this is how many hours you have to work with this month, you can't go above that, this is it," Maykut told the Globe. Image courtesy Government of Alberta. 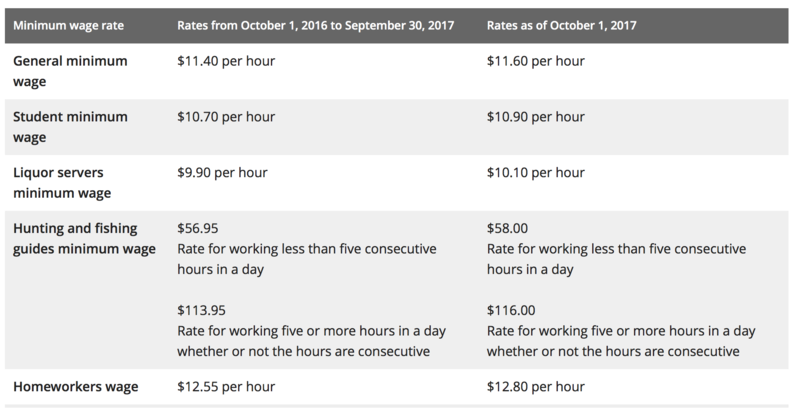 In Alberta, where the government has pledged to hike minimum wage up to $15 an hour by October 2018, restaurant owners have just faced an increase of $1.40 an hour—the fourth minimum wage jump in as many years. For restaurants and bars in the province, the latest hike has meant patrons will be paying higher prices for food and liquor. Gary Tomchuk, a managing partner of the Sherlock Holmes Hospitality Group told the CBC it’s been an “onerous burden” to face the staged increases when outside influences are driving and pulling at a very small margin. “We can’t charge $25 for a cheeseburger. Well, we could, but we’d have an empty pub,” said Tomchuk, whose group has raised food and liquor prices nearly six percent in recent years to offset rising labour spending. Image courtesy Government of Ontario. By Jan. 1, 2019, the minimum wage in Ontario will be $15 an hour. Businesses there have seen the increases phased in gradually and tied to inflation. On Jan. 1, 2018, restaurants sawthe biggest jump yet, from $11.60 an hour in October, 2017, to $14 an hour—a hike of $2.40. With this jump, the average restaurant that sees about $2 million in revenue and has about 800 hours a week in labour will experience jump of $1,920/ week and almost $100,000 a year (ouch!). Here, as elsewhere, restaurant owners simply can’t afford to overspend on labour and economists know it. A new report from TD Bank suggests that because of how quickly and dramatically businesses are forced to take on the increases, the province will see 90,000 jobs not created by 2020. What can you do about rising wages (besides raising prices)? So as we’ve heard, implementing service fees and charging the customer more to cope with the increased wage is one route that restaurants are taking, but throwing the cost back on the customer may not be the best solution (after all, as our friend in Alberta satd, there ain’t many people in the market for a $25 burger!). So what else can you do? As with any budget, you start with your highest expenses and see where you can make changes. Labour is usually the first or second expense in the restaurant. Therefore, if you can squeeze even a small amount out of your weekly labour it adds up IN A BIG WAY! What if rather than projecting sales by the week or the day, you could forecast by the hour, or even in 15 minute intervals? You could really pinpoint areas of labour overspend. Do you start two or more servers at 4:00 pm? That's called batch scheduling, and it's a killer. Ask yourself, do you REALLY need to start each of those servers at 4:00 pm each day? What would happen if you started those two servers at 4:15 pm instead? That 30 minutes saved per day translates to 3.5 hours per week and $2,750 a year in savings! Ameego can do this for you and more! In the same Globe article cited in our Seattle example, a salon owner said by zooming in on boosting productivity—defining how long tasks should take, outline downtime tasks, turning around chairs more quickly, tracking employee time electronically—the increases actually pushed them to create a more profitable business. 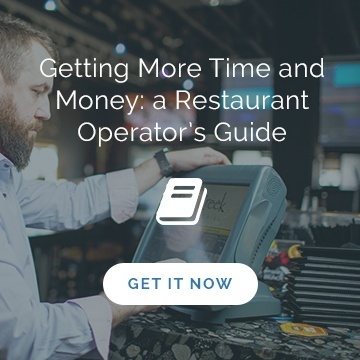 At restaurants the same approach can be taken, and paired with scheduling systems linked to point-of-sale solutions managers can save 0.5-2% of their total sales that is currently being spent on labour. For example, in a restaurant that does $2 million in sales annually, Ameego can reduce your labour spend from 33% of total sales to 31%. That difference of 2% translates into $40,000 in savings! 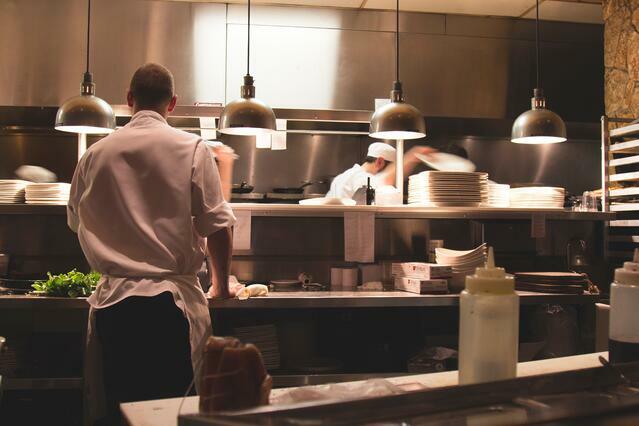 At Ameego, 95% of our team has worked in the restaurant industry. It’s how most of us met initially, and why we really understand the strain that a wage increase can put on your restaurant. We want to help you get through this and remain strong and successful in an increasingly difficult marketplace. 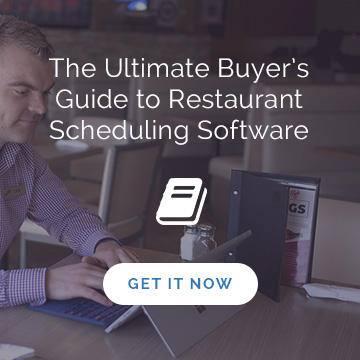 How can your operation use restaurant scheduling software to align sales with labour spending and save thousands? Ameego! Book your free, no obligation demo today!.